Microdemocracy: the idea that ordinary encounters with public agencies are opportunities for individual citizens to “act democratically” and participate effectively in decisions that affect them. The term “Microdemocracy” communicates a simple vision: effective participation in a democracy can start when people begin to participate in decisions that affect them in their ordinary encounters with public or publicly funded institutions. These encounters can take place in many settings including the welfare office, schools, job training programs, health care offices, and many other places. Too often the over 100 million encounters people have with public agencies each year have been places where they learned not to participate in decisions that affect them. We can change that. When people in those encounters begin to ask questions and participate effectively in decisions, they are using fundamental democratic skills that are relevant on any level of democracy. The Right Question Institute’s vision of Microdemocracy calls for transforming those encounters into new opportunities for participation and new starting points for democratic action. Below you can find a video of people sharing their experiences when using the Right Question Strategy. You can also explore the rationale behind our vision of Microdemocracy. For the past 25 years, The Right Question Institute’s work in low-income communities across many fields has shaped our vision for Microdemocracy. We have, through much trial and error, distilled the lessons learned from the field into the Right Question Strategy, a simple set of methods for making it easier for people to strengthen two foundational skills for effective participation: asking better questions and participating in decisions. Learn how asking questions and participating in the decision-making process can fundamentally change how people begin to participate in democracy. 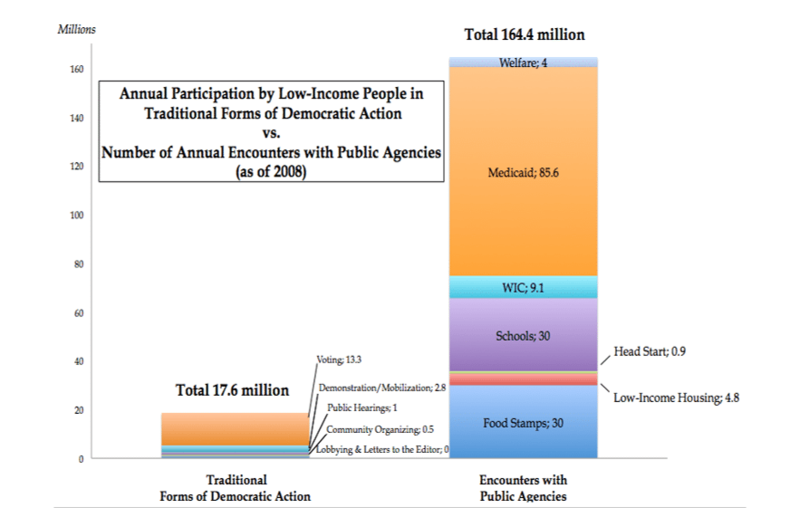 People in low-income communities participate in democracy at the lowest rate of all socioeconomic groups. For example, the data is clear for voting, one of the critical actions in a healthy and functioning democracy. This has significant implications for whose voices are heard, whose interests and needs are addressed, and what policies are implemented. These trends in voting rates have remained consistent over time. The status quo continues. Doing simply more of the same is not a solution. 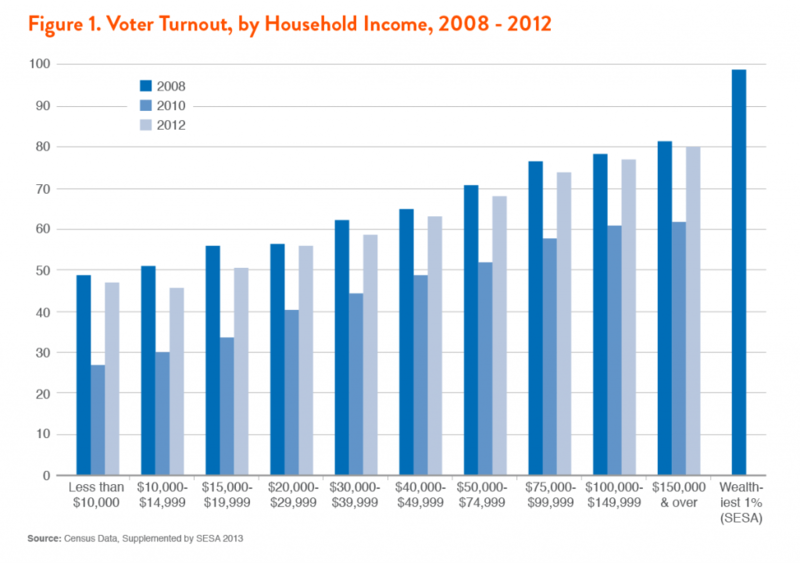 We need to think more creatively about how to expand participation in voting and in democracy, in general, in low-income communities. We have, for too long, overlooked the significance and potential of the 100 million encounters people in low-income communities have each year with public and publicly-funded services. We can transform those encounters from being the endpoints of participation in the public arena to new starting points for democratic action. Imagine if just 10% of those encounters become opportunities for people to ask questions, participate in decisions, advocate for themselves, partner with service providers in demanding more resources. How might our democracy change if, next year, 10 million people began to act democratically on a micro level? The Right Question Strategy teaches two deceptively simple yet foundational skills—asking questions and participating in decision-making—that make it easier for those using public or publicly-funded services to advocate for themselves more effectively in their encounters with public agencies. 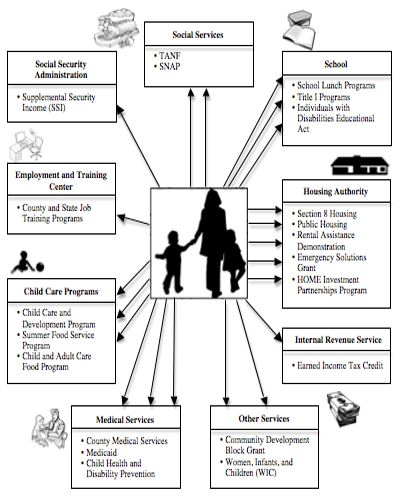 Focus on the potential for greatly expanding the electorate by making it easier for traditional non-voters to see the connection between services they receive and decisions made by elected officials at the macro level. Recognizing that the genius of democracy is in its roots, [RQI] sets about strengthening those roots. By helping people learn how to help themselves the project makes possible the vital process of converting residents into effective citizens… The project offers the possibility of strengthening the vital core of our society. I thought about things that never would have crossed my mind. I really want to vote now and I feel much better prepared to vote! In 2011, we introduced our Question Formulation Technique (QFT) for teaching the skill of question formulation to schools, community colleges, and universities around the world. In just a few years time, we have been struck by how educators have driven a grassroots movement to ensure that students in more than one million classrooms around the world learn how to ask better questions. With this success in scaling up an educational strategy, we are confident that the Right Questions Strategy can transform the frontline practice in public and publicly funded agencies and make our vision of Microdemocracy possible.